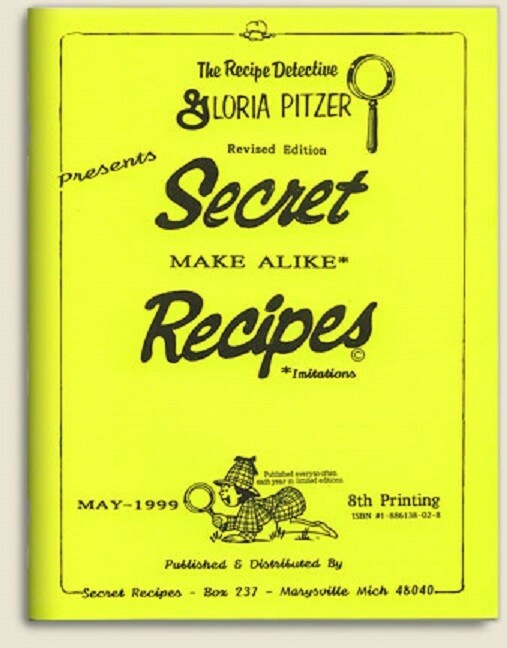 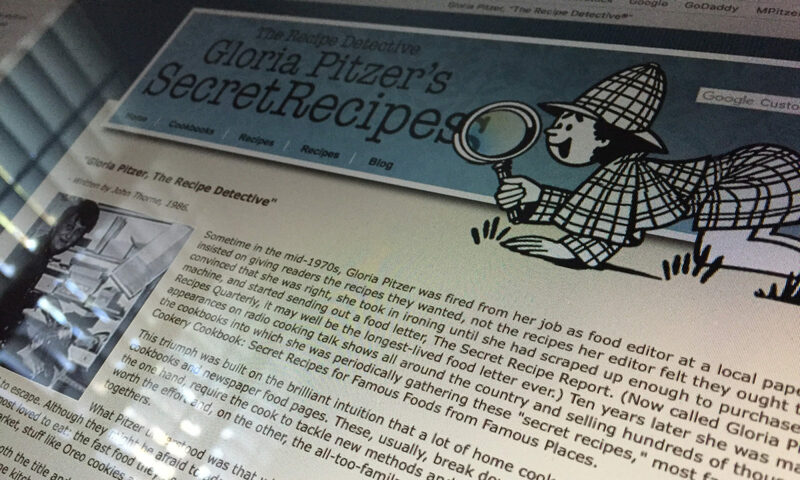 1997 – Gloria Pitzer Presents The Original 200 Plus Secret Recipes Book was written, illustrated and published by Gloria Pitzer (Secret Recipes, St. Clair, MI). 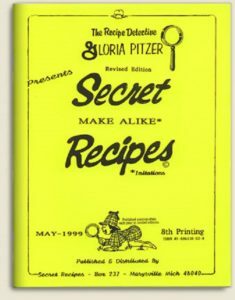 NO LONGER IN PRINT – this cookbook is a collection of the first 200 recipes developed and tested by Gloria Pitzer in the early 1970s for her monthly newsletter and original 4” x 6” recipe-card sales before she ever had cookbooks; now in one collection, plus almost 100 more! 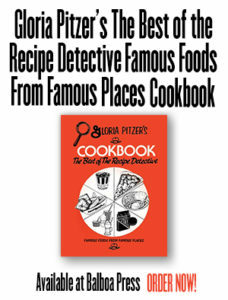 Many of products or dishes from places no longer available all in a 60-page, 8.5” x 11” format.